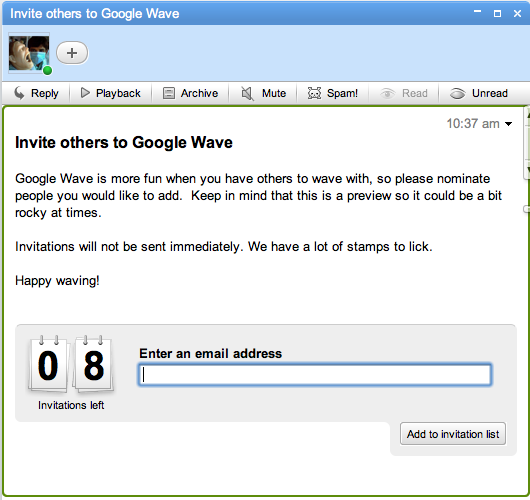 The present invites are sent for just the Preview of Google wave, and not a beta or not a public version of the Google wave tool. The page has 3 columns, left panel having contacts panel, middle one is the inbox and right one being the edit box right now, from where you can learn what to do on Google wave to use to the fullest. The search options helps you search for waves and contacts, and also from the inbox section, you can create a new wave but its not useful right now in the preview version. When multiple users are editing a single wave at the same time, its called a blip and you all can see the live changes being done by any user in the text, photos and any other documents within the blips. Loved the way you can minimize the modules, move them here and there, making the box of wave creator bigger and occupy the whole page and making all other modules minimized on the top of the page. But things are still limited this being the preview yet. – Do you think Google wave will be able to beat all the Social networks at present? – Why do you want to preview Google wave? Comment and expect an invite. There are more invites available at my brother’s blog where you can win them too. 1. Yes with the current growth and innovative strategies of Google (Chrome Frame recently), it has the ability to beat all other social networks and Google wave is a big step in this. Though some recent tactics like Facebook allowing to invite Orkut friends is something Google need to look at and tackle. 2. I have at present too many different social profiles and sharing content and seeing what they are doing gets difficult at times. A tool like Google wave will help me contact all my friends from one place and share everything I want in real time which means less time waste checking all messengers/facebook and focussing my time only on 1 place: Wave. Hope to get a invite. 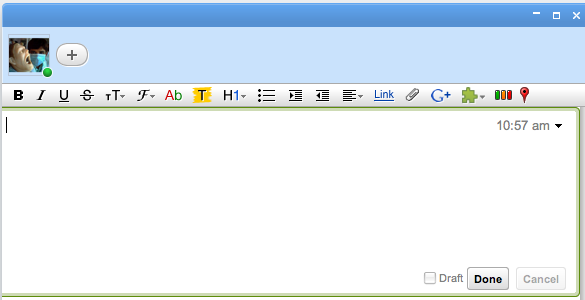 Email is used in commment form! Nice post. Some more pix would have made the post great. Please share an invite if you could. I want to see if it is worth developing for company i work for, WooMe.com. And some of the screens look eerily similar to our chat sessions page. – I don’t think it needs to beat the social networks out there, because it can compliment them so well. – I’m hoping to try out Wave’s ability to be a collaboration tool in a new programming project of mine. 1. I don’t think Google Wave competes with Social network. I believe, it’s going to excel as a new communication platform, perhaps like what they claimed “google wave = what if the email is invented today”. Certainly, it also poses threat to social network in form of 3rd party applications, collaborative and realtime communication. 2. I would love to be able to try out and test the innovative communication platform. Nope. I dont think Google will beat all the other Social Media networks. I think the other networks will make it tougher for Google to create hooks for Wave on their platform. Having said that, Google has – time and again – demonstrated how they think out of the box and innovatively to get things done. Am looking to get my company onto Google Wave and see how we can use it to better our work culture. It’d be amazing if you could share an invite with me! Hi, can you invite me? Why I want one? Cos I wanna check it out, waddyathink?? Google wave looks interesting .. But dont know if it will help me from information overload! 1.: No, but it will merge and converge all the sctatterd forms of communication email, IMing, IRC, blogs, forums, news sites, and above all it will enable easy creative collaboration lieke the world has never seen before. Think making movies, creating computer games, planning projects, elearning, political debates, dreaming up utopia, everything :D.
2. Have wanted one since I saw the video back in May. I signed on very early for the open beta, but haven’t go an invite sofar. Wow. Would love to have a wave account, would open a complete new world. I’m a musician and this would be a great way to do some networking and share music with others and give feedback to eachother. 1. Yes. I think Google Wave has the potential to not only render Social Networks obsolete, but even more, to replace emails, SMS, blogs, etc. The purpose of social networks is to connect people online as well as they could face to face. That is why facebook beat myspace in the end, because facebook made profile-to-profile connections a lot easier (using tags and the homepage). People felt closer to eachother when using facebook. It felt more real. Now, with google wave, transmissions are live! How more real can you get? Imagine all your facebook friends on a Wave, witnessing your every typo and seeing every picture or video you post –on the spot–.Because of the potential speed in which people could connect while on a Wave, Google Wave will without a doubt overshadow social networks in the future, unless these social networks come out with something equivalent to it. 2. As a software engineer, I would love to preview Google Wave to not only connect with co-workers, friends and family, but also to collaborate in this huge open source project! My sister had the same yahoo!mail account for 12 years. A couple of months ago, she decided it was time to get a new one due to spamming (and the fact that her username wasn’t fitting for a 27-year-old person). And she chose a new yahoo!mail account. No, she did not want to use Gmail, despite all of my praising. And I do speak a lot about my Gmail. What I’m trying to say is that no e-product, no matter how amazing it can be, will be the only survivor. I’m pretty certain some people will like their e-mail to be e-mail, some people will want their Facebook to be Facebook. And some people will just use all things available at once. 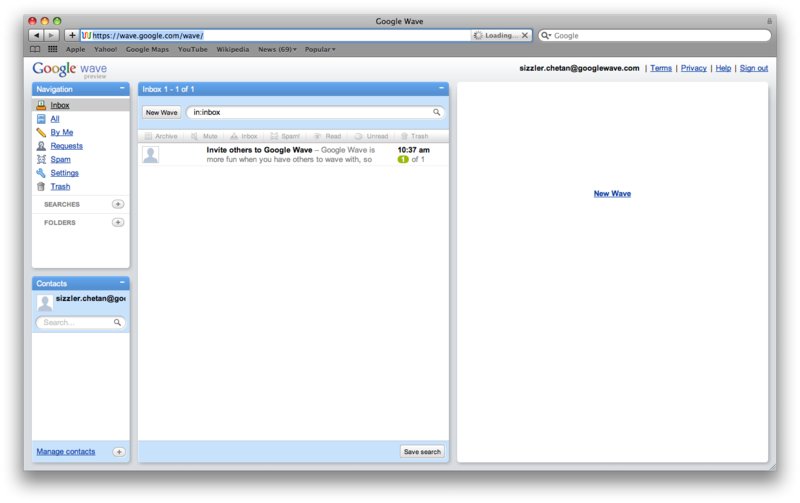 Back in 2004, I got Gmail reasonably early. Seriously. Their welcome message (which I kept because, *dude*, they were giving me 1Gb!) date says “Wed, Apr 21, 2004”. I had about 2 invites at a time to give away and friends waiting in line. This time, Google did not give me an early invitation for Wave. I feel very downgraded. How am I to understand the greatness in Wave when they won’t let me see it? Anyhow, love the blog… and thank you for the Google Wave invite opportunity. Dont think so. But it will have a huge effect on the way collaboration happens today. Please do send me an invite! Nice post. I need an invite dude. Honestly, I don’t know. Google is pretty powerful though so it’s certainly a possibility down the track.